Ferrari and Pringle are a gay couple. 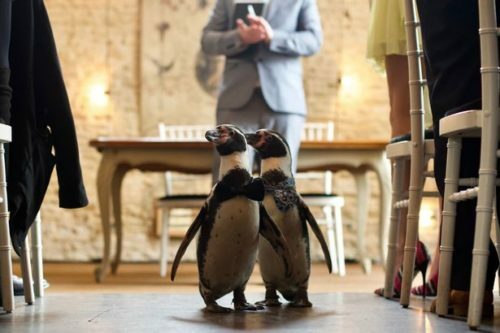 The inseparable pair are also penguins. And how they’re married. The happy couple had a lavish wedding ceremony on an English estate complete with makeup artists and a ride in a chauffeured Bentley to meet their guests. The Wedding Video Company posted footage from the pair’s big day and it will melt your heart. Two extra photos from the couple’s big day below the video.